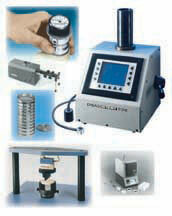 All DIETERT brand products are calibrated to OEM Specifications. Whenever possible the standards used for calibration are traceable to NIST. However, when no NIST standard exists, either an AFS Standard and/or an Internal Company standard shall be used. Dietert products may be purchased with or without a calibration certificate.